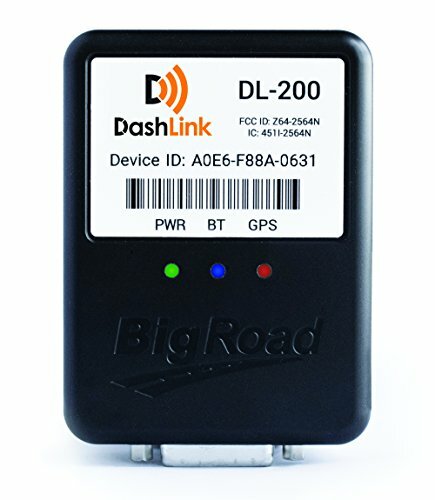 The Big Road ELD device by DashLink is a quick, easy and affordable way to make compliant engine-connected logs. It can be switched between vehicles and drivers and there is no upfront hardware cost. You can record driver duty status, driver availability, and vehicle drive time automatically, prevent HOS violations. In addition, form errors, eliminate the need for an in-cab printer, create inspection ready logs, and install the device almost effortlessly. It is possible to connect the device to the vehicle and pair it with your BigRoad Mobile App via Bluetooth. The switch between DashLink equipped and non-DashLink equipped vehicles is seamless. Who Is The Big Road ELD Best For? This may not be a good fit for fleets looking for a full-featured telematics solution with rich ROI possibilities. But for those who need simple, user-friendly ELD compliance, it’s perfect. It takes just a few minutes to install the unit, making it a great option for short term leased vehicles and Owner Operator fleets. Support and sales staff are friendly and helpful. Users get a good experience for a great price. Big Road ELD offers back office users simple messaging, GPS tracking, and a nice snapshot of current HOS compliance. There are also several reports that show miles per state for IFTA reporting and other features. The device does not have idling reports, MPG and engine fault codes, DVIR tracking and alerts, Macros/Workflow, official out-of-the-box TMS integrations, and other advanced management features. We know how complex things can get in the trucking industry. Rules and regulations are constantly being changed and there is a lot of confusion about newly required engine-connected technology. You’ll be pleased to know you can leave DashLink in your truck in extreme weather – it has been designed to be very durable. The company has done a lot of testing on the device and has never encountered any issues. In very extreme cold, the device might be a little bit slow when you first get it online. Back in 2012, BigRoad was one of the first electronic logbook apps to be available from the App store. Operators who own trucks are also very happy with it. It is free to download, but there is a fee for each person who can access the data, whether a dispatcher or driver. The Dashlink connects to a truck’s diagnostic port and sends information back to the BigRoad App automatically. It has a separate monthly fee. Still, BigRoad’s E-log App and Dashlink ELD provide a good solution at a fair price when used together if you want to be compliant with 2017’s ELD Mandate. Our extensive research has shown us that BigRoad’s e-log app has a rating of 4.5 - one of the highest ratings of all similar products - making it one of the most popular electronic logbooks available to truck drivers at present. The app is compatible with iOS and Android devices and can be downloaded for free in the Google Play Store and Apple’s App Store. As most e-log apps are rated under 4 stars, this user rating means it’s definitely worth considering. The main reason for the high ratings from drivers is that the app is easy to use and simple to learn - and has hundreds of thousands of downloads to prove it. It can be used not only as a stand-alone app, but also with BigRoad’s Dashlink ELD, which sends information back from the engine to the app. Managers or owners of all small fleets should consider this device when switching over to e-logs since it is already popular among many drivers. The user-friendly app keeps it simple, offering basic functions like easy to view Recap hours, HOS time remaining display, E-logs that can be edited by the driver, and many more. The basic functions are provided very well. There is a big button at the top left of the screen allowing drivers to set their current status – this is very popular amongst users. However, the app’s non-core features are not as useful or strong. The map display does provide satellite imagery, night view and traffic, but all its other purposes are more or less decorative. On the plus side, the two-direction messaging works optimally, enabling drivers to communicate via text with dispatchers and other company drivers. Drivers can start a new chat, upload documents that can be sent to dispatch or anyone else via email, and check in at their current location and email the check-in, all right from the messaging screen. BigRoad is a popular stand-alone app to keep logs on phones. More recently, the company has added ELD hardware that allows the app to connect to the data of the truck engine. This system is a simple, well-priced, and user-friendly option. It doesn’t have too many functions, but easy-to-use log compliance is insured. It works with any Apple or Android phone or tablet like many BYOD options – all you need to do is install the free app. There is no upfront cost, unless you choose to set up some sort of mounting hardware to attach the device to the dash. You’ll need an Apple or Android mobile device with a data plan as well. You could ask the driver to provide their own, but you can probably get a free device with service contract and a basic data plan for around fifteen dollars a month if the company is providing the device. This is what makes BigRoad one of the most affordable options on the market right now. You need to have access to a printed or digital copy of this card. It shows one how to use their DashLink and offers instructions on how to carry out a roadside inspection using DashLink as well as what to do during a malfunction. You can download the copy from the official website of the producer or request a laminated card be sent to you. You can also download a guide from the website to learn how to install your DashLink DL-200 ELD in your vehicle and link it to the BigRoad Mobile App. You don’t need to have a printed copy of this guide in your vehicle, but it might be a good idea to save it to your mobile device so that you can easily access it if needed. The producer has made an effort to provide a very user friendly app, which many drivers are already familiar with. The app features a simple display of HOS time remaining, and the driver can change his own logs as needed. The ultimate goal of the app is simplicity, but it does have some nice extra features, such as a google map showing traffic and location. You can install a separate app for navigation. The BigRoad app also enables basic two-messaging between the office and driver. The driver can view their upcoming recap hours easily and print, email or fax their logs from the device. Drivers can certify that an inspection was done and comment on any defects via a basic inspection form. There aren’t many other features beyond these basic HOS ones. You need to have your phone plugged in when using DashLink ELD because the Bluetooth connection is strongest when your phone is fully charged. If it isn’t, the device might not run as smoothly. One of the first things a low battery reduces is your Bluetooth connection, and when that happens, it is hard for the device to operate properly. This is why it is recommended to keep your phone plugged in the whole time you’re driving with DashLink. You should only be signed into the app on one device at a time because if this isn’t the case – say you’re signed into BigRoad on both your tablet and cell - DashLink will try to connect to both devices. It will then not be able to connect right to either device. The dashboard/web app may look like it was designed years ago, but the user experience is actually pretty good, even though the interface is definitely dated. The web dashboard, like the BigRoad e-log mobile app, is pretty straightforward, providing the basic tools of fleet management. The dashboard gives fleet owners, managers, and dispatchers real-time GPS location and tracking for all vehicles equipped with BigRoad. The web app also lets dispatchers receive and send messages from each fleet driver using BigRoad’s E-log App. Drivers using the BigRoad App don’t need to be concerned during an inspection because they have multiple tools at their disposal to produce their logs from the device including fax, email, and print. The driver simply signs off on the inspection form to certify that an inspection was done and comment on any deficiencies. The Dashlink is a self-installed, plug n’ play Electronic Logging Device. The device itself is a small black box that is connected to a vehicle’s JBUS diagnostic port by means of an adapter. BigRoad ELD will provide the correct cable to connect the device, usually a 6-pin or 9-pin plug, depending on the make and model of the vehicle. It does not have 3g wireless connectivity itself. Data is sent to the BigRoad E-log App via Bluetooth. There is no other hardware provided by BigRoad – that’s what BYOD stands for (“Bring Your Own Device”) – see above for clarifications. Users can download the E-log App that the engine data is transferred back to from the ELD can be downloaded on any Android or Apple device, giving fleet managers and owner - operators plenty of flexibility and options. The company has an access fee per month, but the charge is not on the app itself, which is free, as duly noted. BigRoad costs $15 per driver or office for one month of access. This, however, does not make it a real or complete electronic logging device. 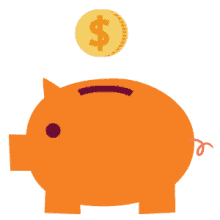 In order to achieve completeness and full functionality, you need to pay $10 per truck per month for the Dashlink ELD. The final cost amounts to $25 per month per truck plus the price of the mounting device, which is charged only once. The device is a relatively well-priced option at $25 per truck per month as long as you don’t need a lot of people looking at the data, because the access fee is also per person. One of the more pleasant features of the BigRoad dashboard is the report showing miles traversed per state for the aims of IFTA reporting. Sadly, features such as engine diagnostic fault codes, downtime reports, miles per gallon (MPG) and the option of DVIR alerts won’t be coming soon. The BigRoad DashLink ELD is an affordable, simple and functional solutions. It’s kind of no-frills, but it does make it possible to have log compliance at a price anyone can pay. However, if you or your fleet need a better Return On Investment or full-featured telematics, you would probably need to keep looking. There are much better options out there for such clients. Generally, this device is a low-cost, entry level option for owners and managers of small fleets who want to stay compliant with the ELD Mandate. Learn the ropes, and potentially upgrade to a better, more full-featured system based on the experience. It’s a good choice for owner-owned trucks, and the support team is competent.